Hours: Monday - Friday, 7:30a.m. to 4:30p.m. 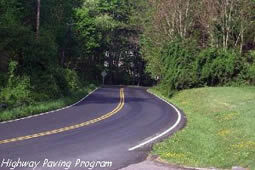 The Highway and Bridge Division maintains, builds, and rehabilitates all Knox County roads and bridges. This includes nearly 2000 miles of paved roads and 134 bridges. The division coordinates projects for roads and bridges under Tennessee Department of Transportation jurisdiction. The Division also coordinates all utility construction and repair within the County's right-of-ways. 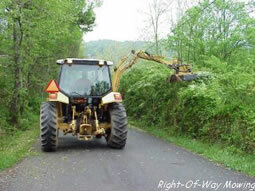 For more Right-of-way construction permit information, click here . 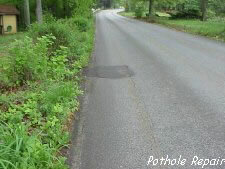 Division responsibilities include pavement management and repair, Right-of-Way mowing, drainage repair and maintenance, snow removal, and roadway safety. The Division also supports the Stormwater Management System , Codes Enforcement, and litter control. The Division's maintenance program is divided into seven geographical districts. Each district supervisor is the focal point for all county roadway maintenance and construction activities in that district. The division also has the capability to perform minor construction and major drainage projects. Dirty Lot Ordinance (865.215.5800): This program provides for mowing overgrown lots, demolishing abandoned buildings, and abatement of illegal dumps. Requests for assistance under this program will typically begin with the Codes Enforcement Division, 865.215.2325 .